On your first visit, one of our physiotherapists will conduct an initial consultation and ultrasound assessment, to identify your physical needs and discuss your goals and aspirations. We will then design an appropriate program that suits your requirements. All Pilates classes are taught by qualified instructors, who will ensure you follow your individual program whether in a one-on-one or group Pilates class. This ensures you perform all exercises correctly, safely and achieve the best results. Healthcare rebates are available, with conditions (check with your health fund). We proudly make ourselves accessible and flexible, so you can incorporate effective movement into your busy life. Download your Pilates Exercises Sheet below to practice some home Pilates exercises. We structure all our classes to provide you with flexibility and accessibility, whilst keeping class sizes small to ensure we provide personalised movements and maintain the highest quality standards. Please note that our Clinical Rehab, Studio Pilates, Mum and Me classes require you to have an initial consultation (45 minutes by one of our physiotherapist) before you attend a class, regardless of experience. 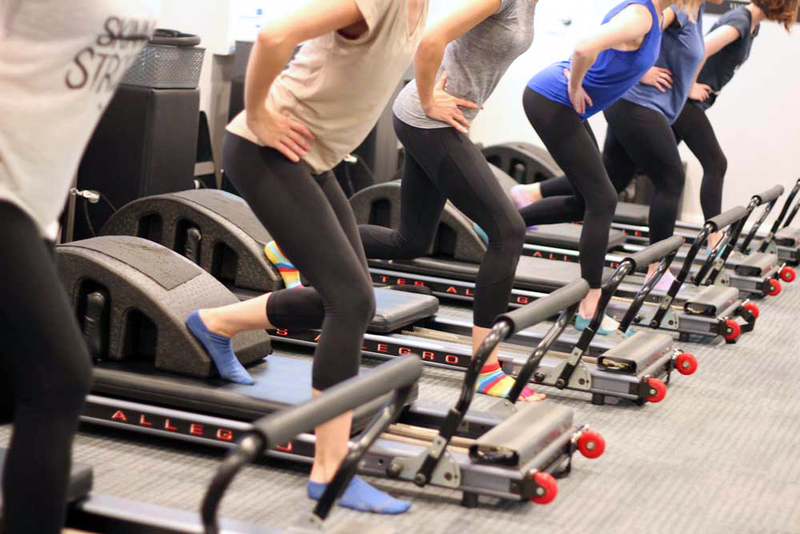 No initial consultation is required for our Express Reformer, Mat Pilates or Refined Barre. All our 5 and 10 Packs have an expiry period that starts after the first class attended from the pack. Please see with reception more details.